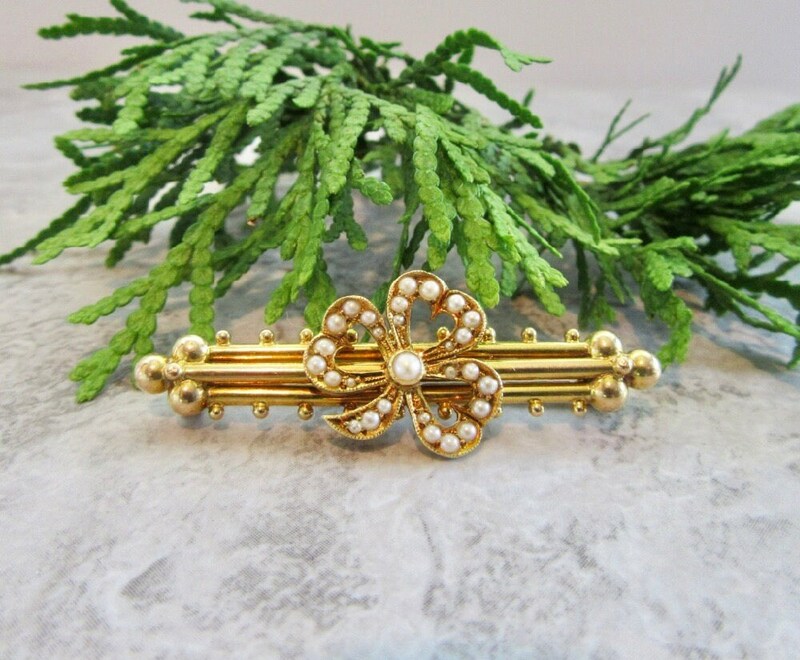 Precious, 15 karat (stamped) yellow gold seed pearl pin with clover design. 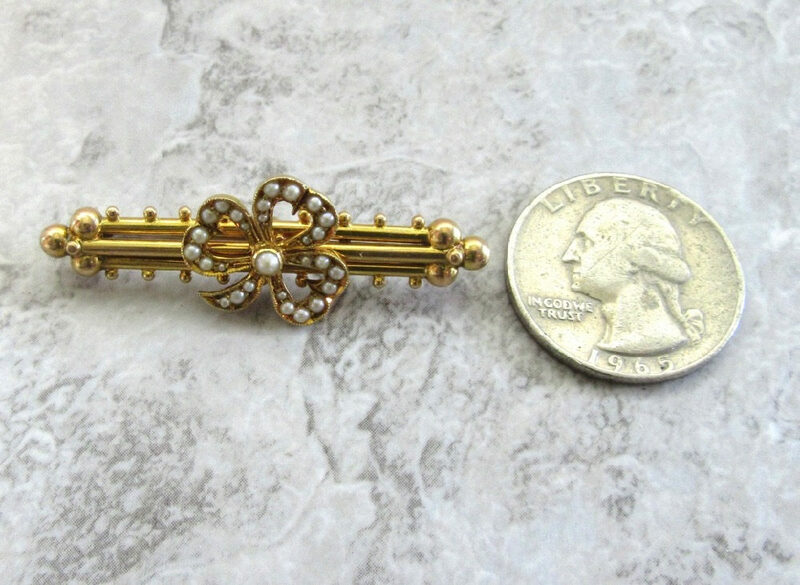 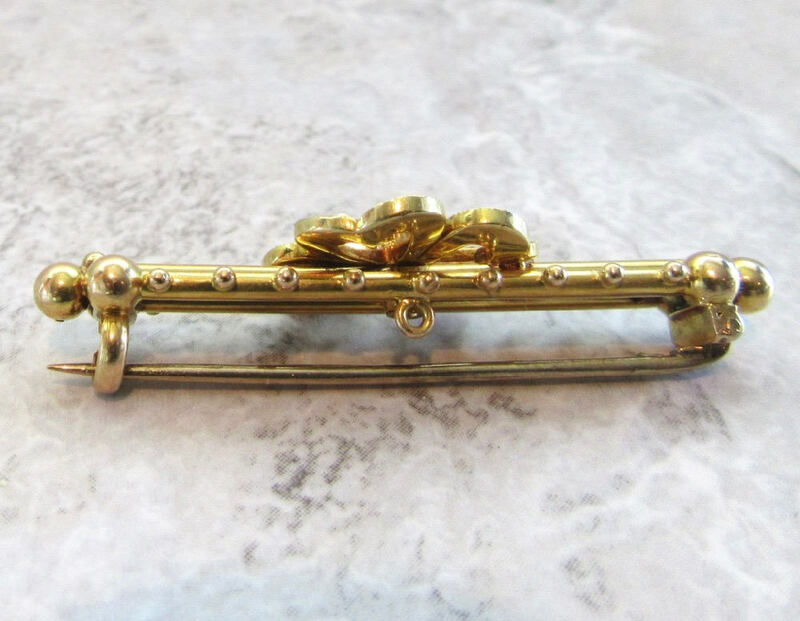 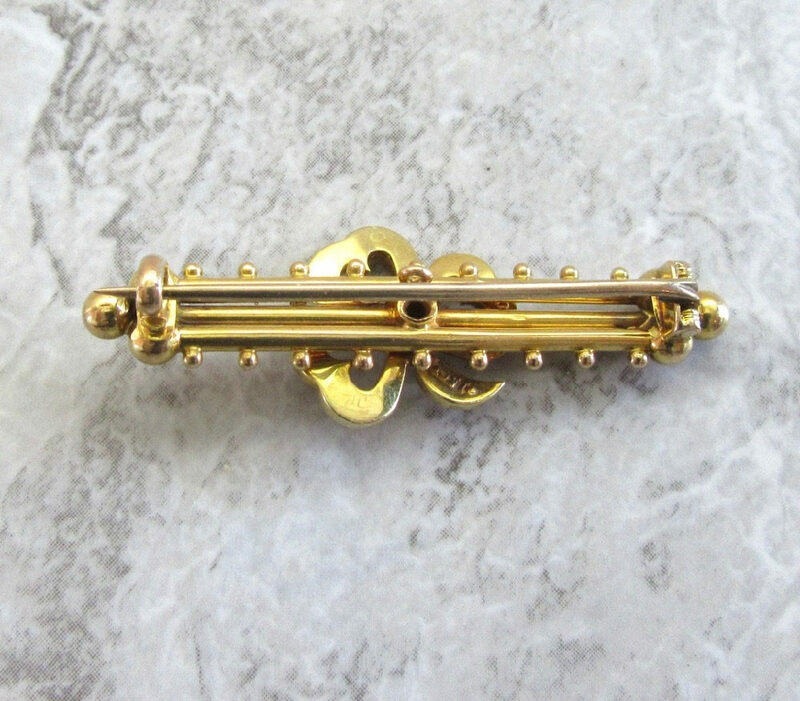 This bar pin measures 1-3/4 inches in length and is accented by a 3 leaf clover seed pearl design. 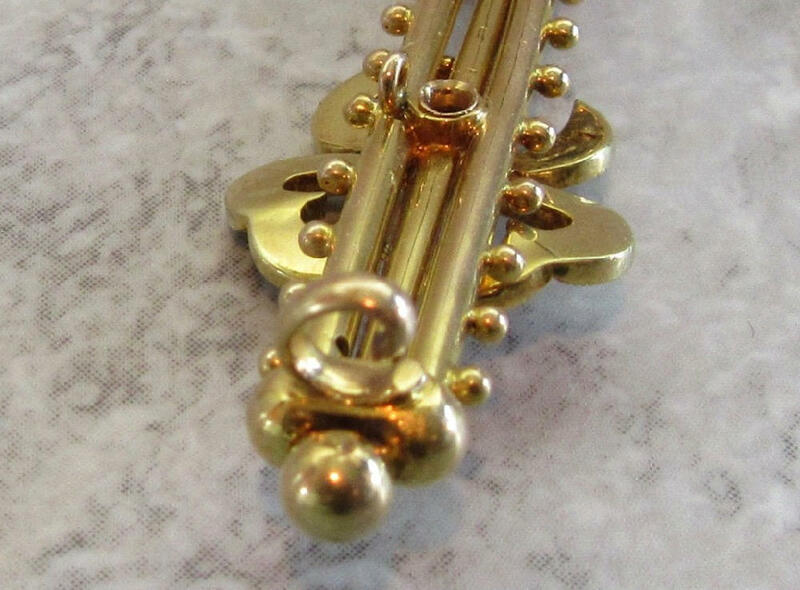 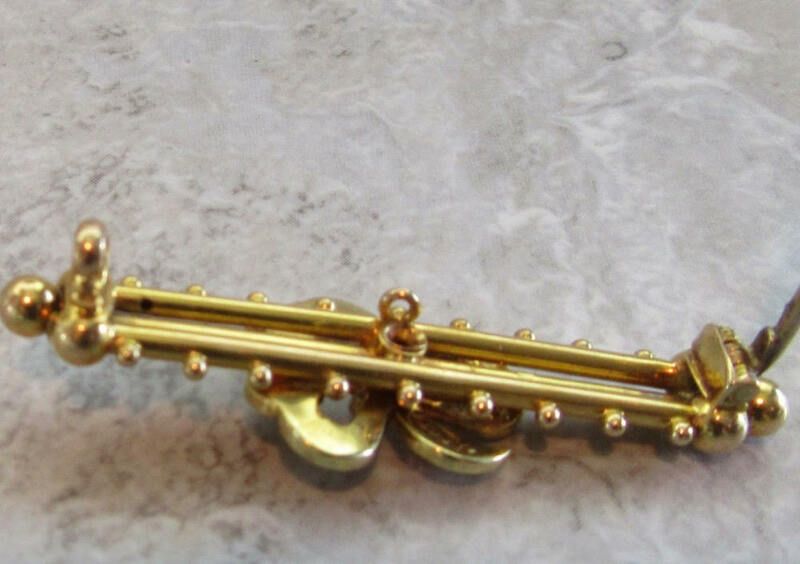 The pin is secured with a "C" clasp. 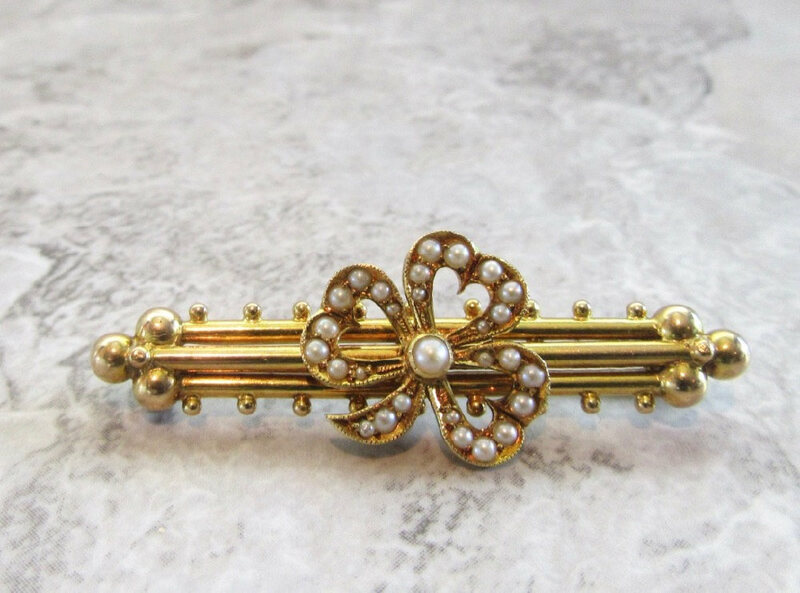 The "petals" of the clover are in heart shape form and set with seed pearls. 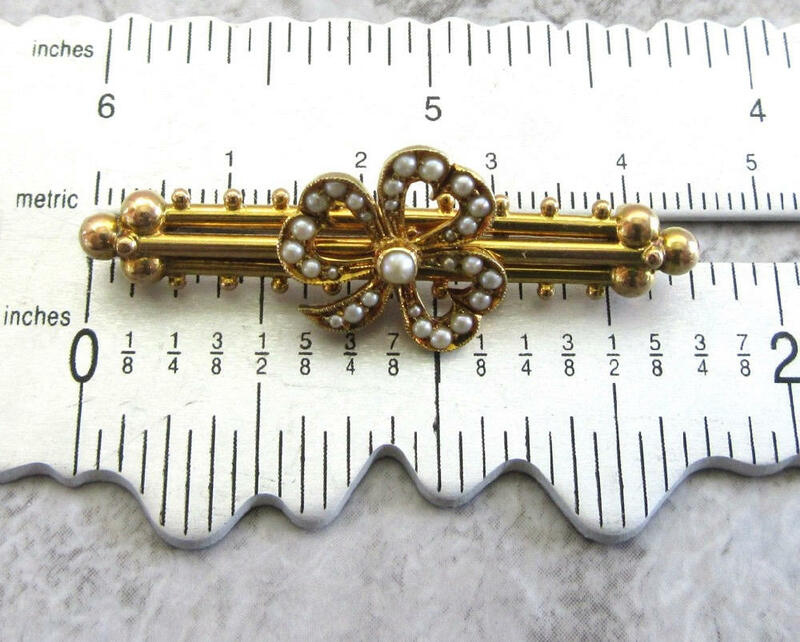 I believe that the pin is of English origin as the English did do a lot of jewelry in 15 karat. 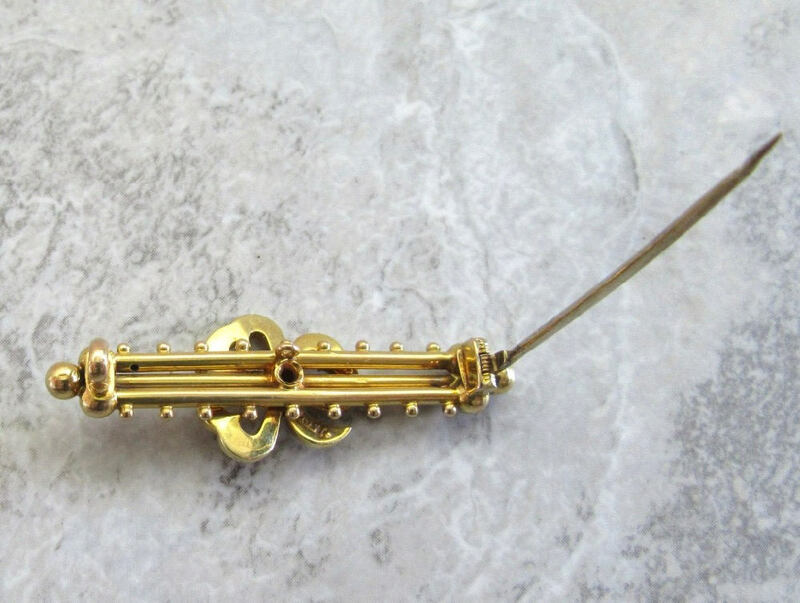 This would make a wonderful addition to a wedding dress or a spectacular wedding gift for the bride.